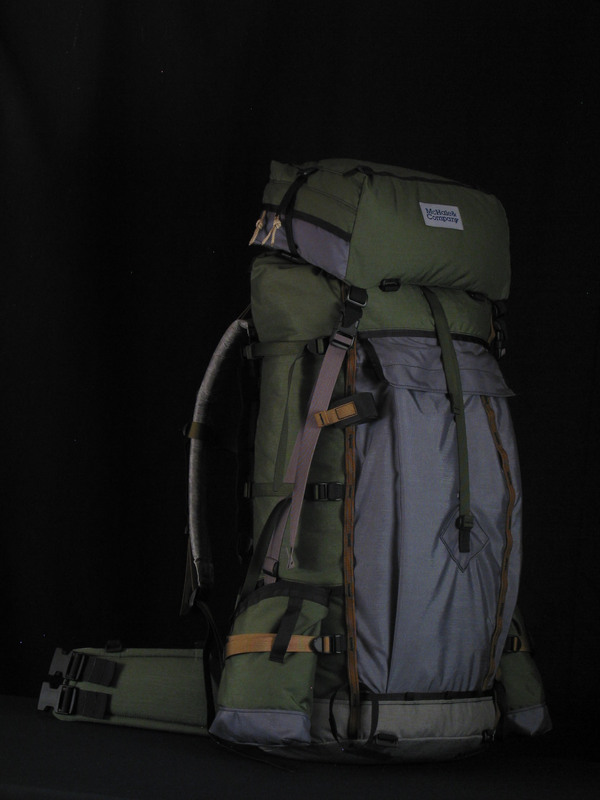 Circumference profile: 42" / 42" / 42" with approximately a 34" tall bag standard with no extension. Breaking it down: If a $895.00 base price S-Sarc P&G seems pricey, keep in mind you do not have to buy the entire system. 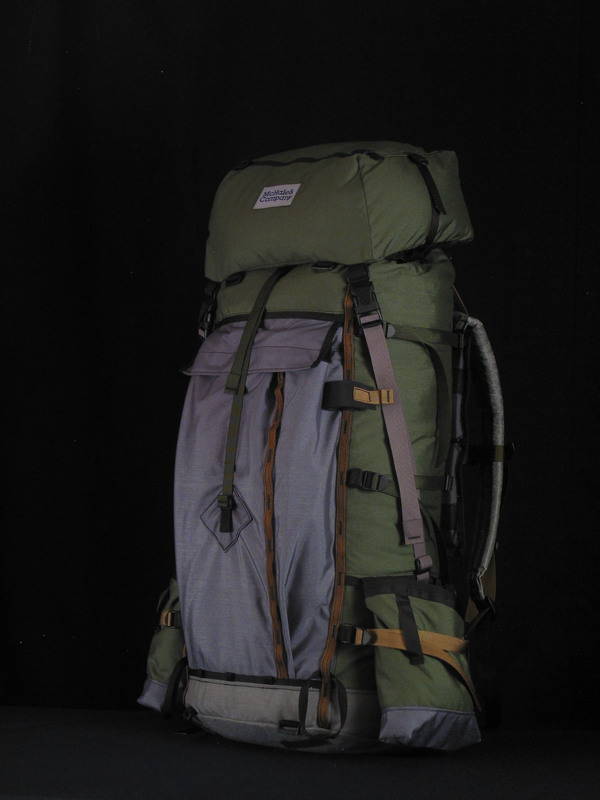 Minus the upper Bayonet Frame extension and top pocket the price is $789.00 and could be considered complete in itself. 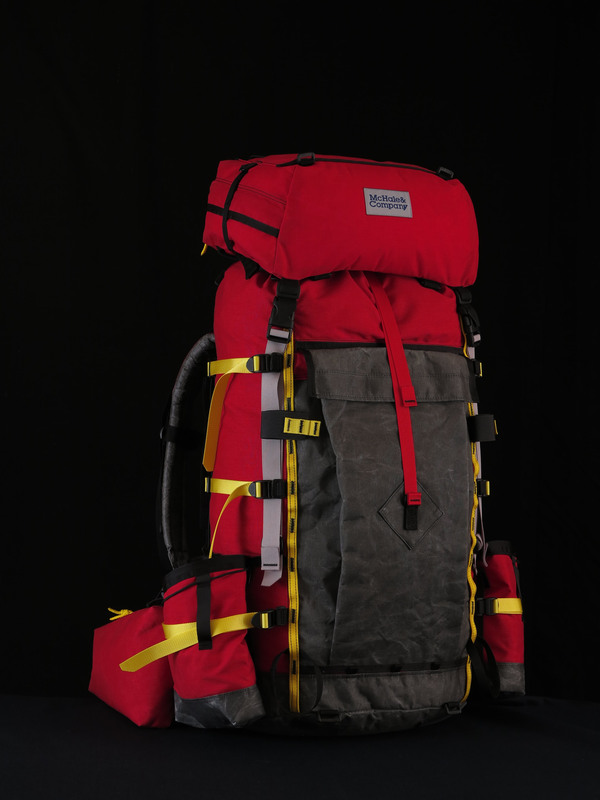 this is a roll-top pack with twin 7075-T6 stays that are adjustable in length, rear kangaroo pocket, a super comfortable hip-belt and back pad, and a Full Spectra rim and bottom that can take almost any abuse you can throw at it. 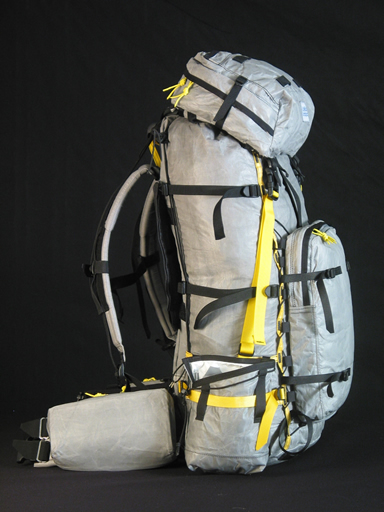 You will be impressed at how the pack can handle 35 - 40 lbs in this simple mode without the P&G frame extension. It will out carry anything in its class. 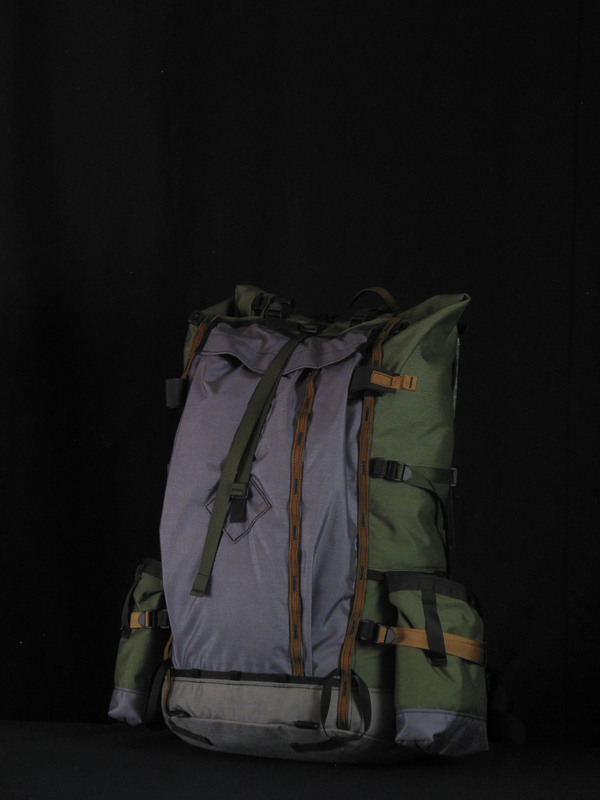 Below: With the upper frame removed, lid removed and pack rolled down into day or light-packing mode. 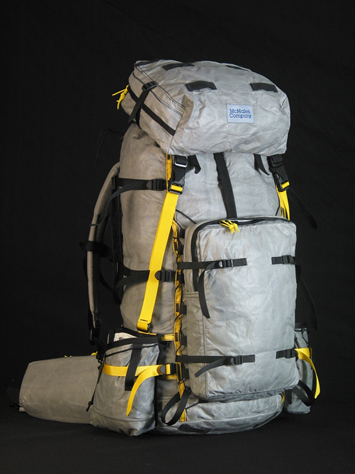 Full Spectra fabric makes possible a light pack that is almost indestructable under normal packing circumstances. Even in extremely adverse climbing situations, it can be considered failsafe. Spectra fibers are used in many applications from Tugboat cables to military body armor. Price: Full Spectra adds $49.00-$75.00 for the shoulder pads for example, or $75.00 for a Kangaroo pocket. 4,500 (cu. in.) custom volumes as well. 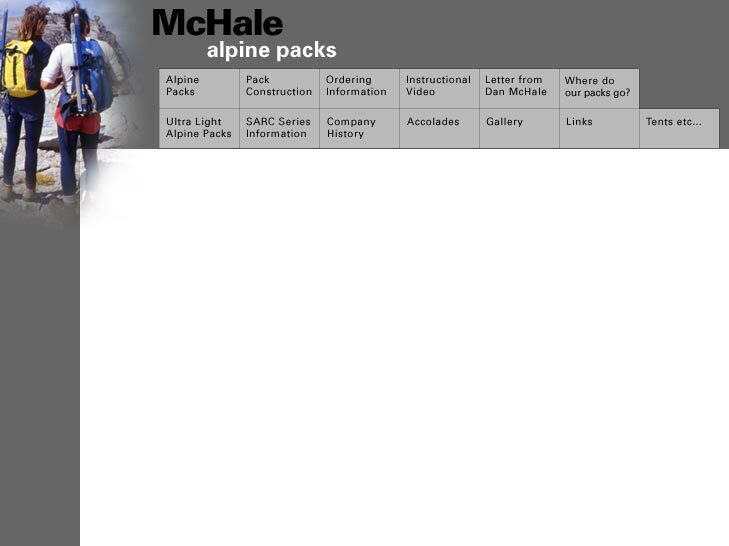 Price: $895.00 includes all fabrics except Full Spectra. 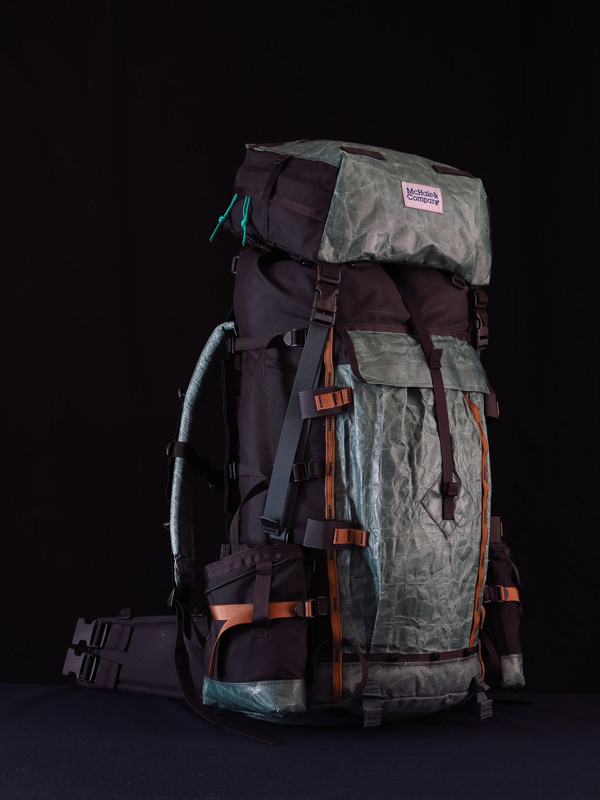 Price includes, hip-pack top or 2 layer summit flap, Kangaroo pocket, P&G Bayonets, Q-Bayo micro frame adjustment, 2 water bottle pockets, Full Spectra rim and bottom, custom fitting, demoing (excluding shipping). 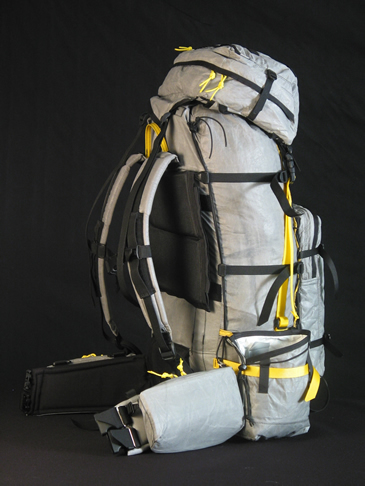 Half-moon zipper can be added and Kangaroo moved up ($79.00). 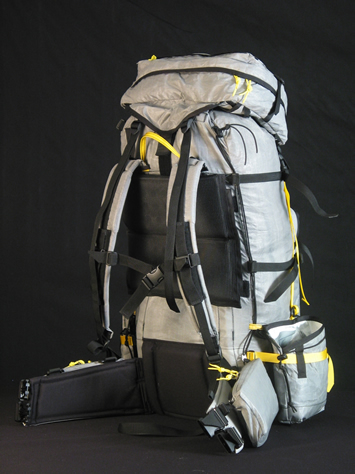 Panel-load zipper is also an option ($89.00).